While international sanctions continue to mount against Iran and its nuclear program, the Obama administration acknowledged Tuesday the steps have done little to change Iran's behavior. 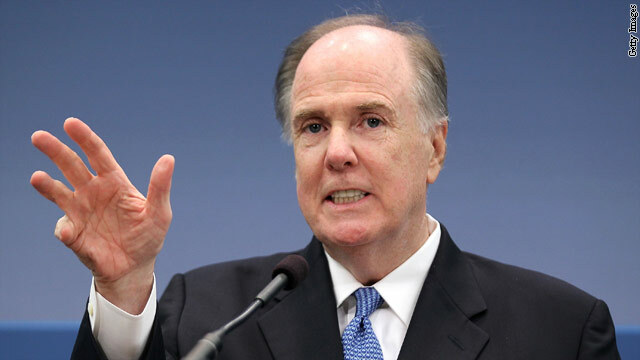 National Security Advisor Thomas Donilon said at a conference at the Brookings Institution that Iran is paying a steep price for its intransigence. Growing international sanctions, diplomatic isolation and growing defense alliances in the region continue to ratchet up the pressure on Iran and have helped slow down its nuclear efforts. But Donilon also admitted that "the Iranian regime has not fundamentally altered its behavior." Earlier this month, the International Atomic Energy Agency questioned whether Iran's nuclear program is for peaceful energy purposes, as Iran maintains. In the most detailed report to date, the IAEA found "credible" information that Tehran has carried out work toward nuclear weapons, including tests of possible bomb components. Despite Iran's failure to change its behavior, Donilon thinks the United States, working in concert with its international partners, will eventually have an impact on the Iranian leadership if they remain persistent and unified. "We think it has an effect when they see that they are thoroughly isolated," Donilon said. But unity has been a problem. China and Russia in particular have been reluctant to support harsher sanctions against Iran and have effectively forced the United States and European nations to settle for less punishing measures. However, Donilon maintained there is good coordination and cooperation with China and Russia. "They have supported us on each of our sanctions, international sanctions at the U.N.," he said. "They have enforced those efforts faithfully." Donilon said it is important all options remain on the table. "Over time, the goal, of course, would be to raise the price and force the choice," he added. Sanctions sanctions sanctions...its all a song and dance until iran gets nukes israel wipes them out and armegeddon begins.